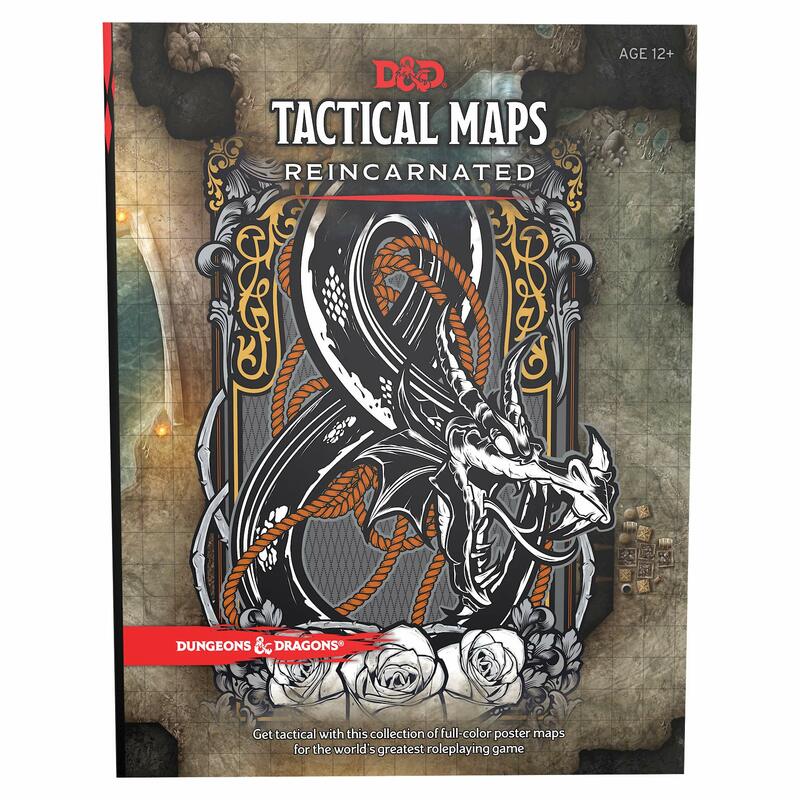 Twenty maps from D&D’s heyday are coming to 5th Edition in one easily collectable set. Get your grids ready and revisit classic adventure locales with D&D’s Tactical Maps: Reincarnated. Third and Fourth edition D&D had some amazing adventures, and the best of them had battlemaps that were designed to run the combats you’d find hidden within. 3rd and 4th Edition were designed to run on a grid with minis and drawn out areas and everything. 5th Edition doesn’t require that (though it still works off of that premise) but if you’re the sort that uses them, here’s a chance to revisit some of the best maps from D&D’s past, with 20 maps from some fairly iconic 3rd and 4th Edition adventures. – 20 full color poster maps. Each is adorned with a 1-inch grid, perfect for use with D&D miniatures. – A wide assortment of terrain, environments, and locations are represented.